Where the E-2 Visa applicant is an employee rather than an investor that employee must be of the same Nationality of the investor OR Company/Enterprise that has majority ownership of the Business/enterprise. The Employee can be a Manager/supervisor or a worker with special skills making him or her essential to the running of the business. A supervisory position grants the employee ultimate control and responsibility for a large proportion of the enterprise’s operations or a major component of the enterprise. It does not involve the supervision of low-level employees. The supervisory element of the employee’s position must be a principal and primary function, and not an incidental or collateral function. The essential nature of an alien’s “special skills” is determined by assessing the degree of proven expertise of the alien in the area of specialization, the uniqueness of the specific skills, the length of experience and training with the firm, the period of training needed to perform the contemplated duties, and the salary the special expertise commands. Unlike the H1B, there is no Quota on the number of employees permitted. The E-2 employee visacan be filed directly at the Consulate of the Home Country of the applicant without the prior approval of the USCIS or can be filed as a change of status if the applicant is in the United Sates. The E-2 Visacan be approved in a matter of a few weeks if the applicant is filing under premium processing in the United States. The Spouse of the E-2 Investor is eligible for an employment Authorization Card, (Work Permit) allowing the spouse the ability to work legally in the United States at any legal job. The E-2 Visa must be extended every Five (5) years however there is NO limit in extensions and an applicant may remain in E-2 Visa for an indefinite time, as long as the investment enterprise is ongoing. You can work legally in the U.S. for a U.S. company that is the subject of the investment. You can travel freely in and out of the U.S. while on a valid E-2 Visa. You can stay on a prolonged basis with unlimited extensions as long as you maintain valid E-2 Status. 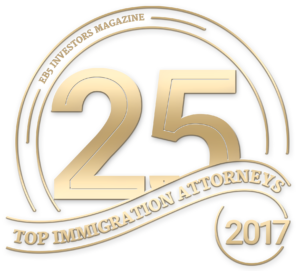 You may bring your dependents (spouse and unmarried children under the age of 21) to live with you in the U.S.
Albania, Argentina, Armenia, Australia, Austria, Azerbaijan, Bahrain, Bangladesh, Belgium, Bolivia, Bosnia & Herzegovina, Bulgaria, Cameroon, Canada, Chile, China (Taiwan), Colombia, Congo (Brazzaville), Congo (Kinshasa), Costa Rica, Croatia, Czech Republic, Denmark, Ecuador, Egypt, Estonia, Ethiopia, Finland, France, Georgia, Germany, Grenada, Honduras, Iran, Ireland, Italy, Jamaica, Japan, Jordan, Kazakhstan, Korea (South), Kosovo, Kyrgyzstan, Latvia, Liberia, Lithuania, Luxembourg, Macedonia (Yogolsavia), Mexico, Moldova, Mongolia, Montengro, Morocco, Netherlands, Norway, Oman, Pakistan, Panama, Paraguay, Philippines, Poland, Romania, Senegal, Serbia, Singapore, Slovak Republic, Slovenia, Spain, Sri Lanka, Suriname, Sweden, Switzerland, Thailand, Togo, Trinidad and Tobago, Tunisia, Turkey, Ukraine, United Kingdom, Yugoslavia. 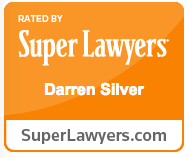 If you are interested in learning more about E-2 worker visas, please contact our experienced E-2 worker visa lawyer, Darren Silver & Associates, LLP. For an initial consultation at 1-800-971-7013 (Toll Free).